Today I’m just having a chill and relaxing day, I have had an amazing sleep in! !I don’t remember the last time I woke up at 9.15am with having 4 children but after a few tiring weight and body combat classes at the gym I so need it. Everyone else was asleep this morning which makes a big change (apart from my husband who had to get up at 6 for work). The postman knocked me up, so I excitedly ran down stairs to see if he had and cards or presents for me for my birthday tomorrow. No you have not woke me, I replied in a groggy just woken up voice!! I am so looking forward to tomorrow, spending the day shopping, eating some yummy food, lots of cakes and spending a day with my beautiful family. The size of my chocolate cake is unreal, which the children picked out for me. 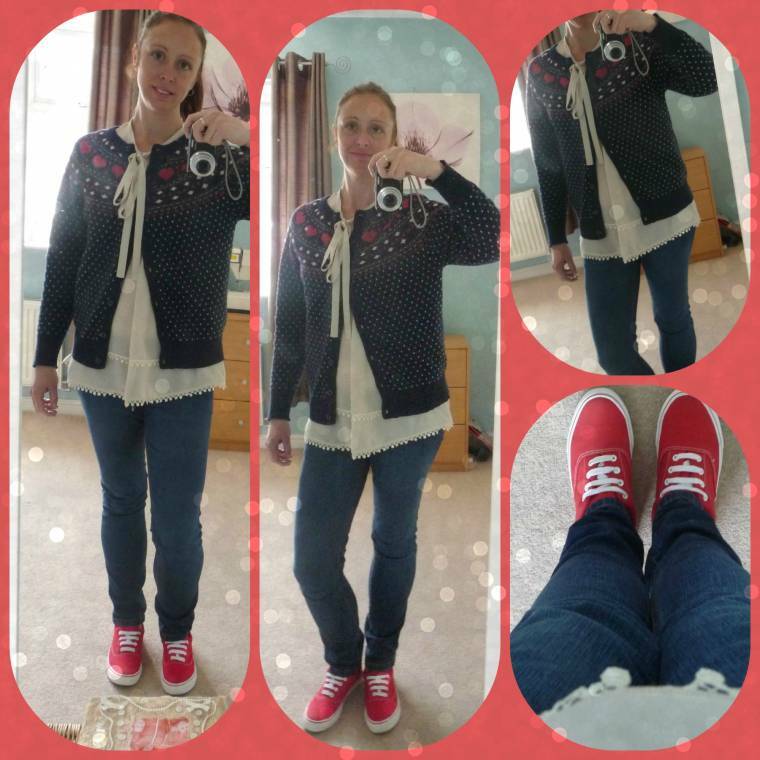 "40 Today : Creaive Mondays Blog Hop…"
You look great Claire! You certainly know how to choose clothes that look so lovely on you. I know you are going to have a wonderful birthday tomorrow! I can't wait to see the pictures and read about it. Have a VERY HAPPY BIRTHDAY! 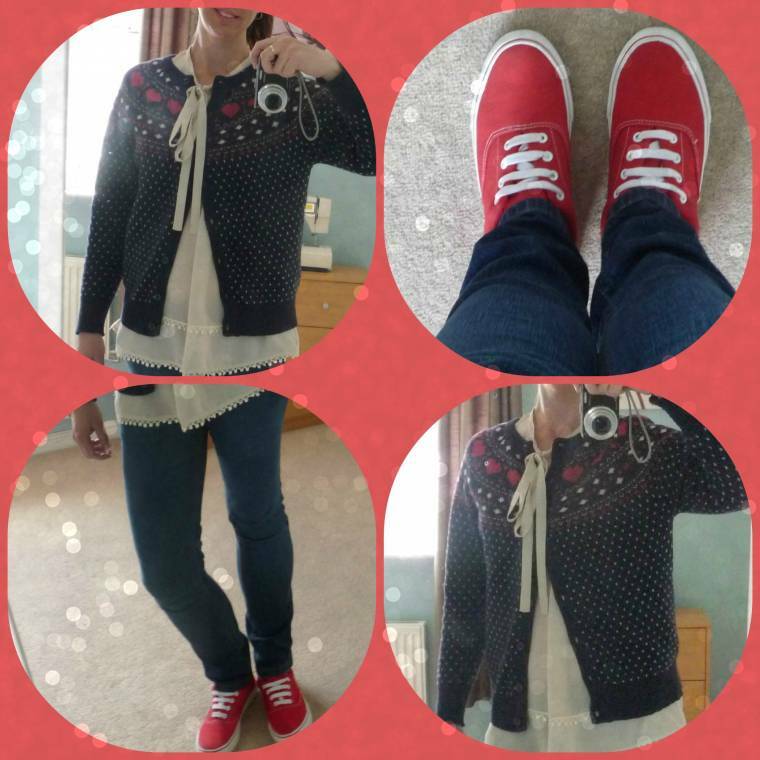 I do so love your outfit..the Pop-of-Red shoes is so great!